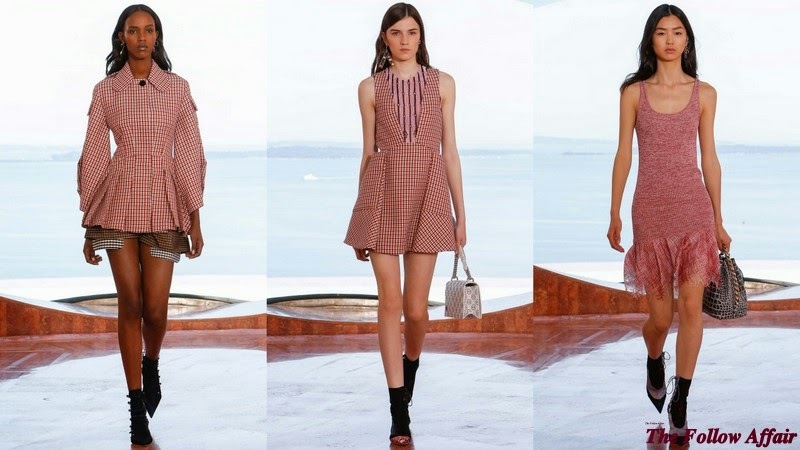 This Cruise Collections are making us travel all over the world. First Seoul, then Palm Springs and now French Riviera. I don't even have time to unpack my bags with so much travel. The best part is that I love traveling even if I'm only seating in my couch looking at the collections through my Mac screen. 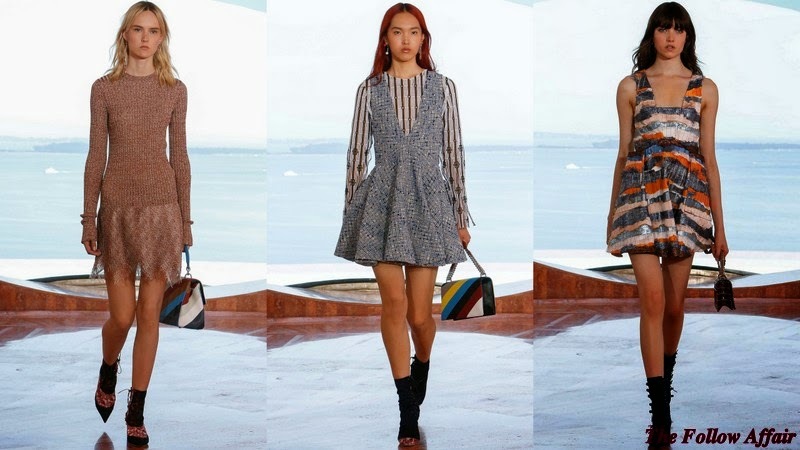 The place was the the house owned by Pierre Cardin, Palais Bulles, with an amazing view over the sea, the house screams summer fashion show must be presented here. The perfect place to present a Cruise Collection from the most classic and french luxury house of all fashion. Presenting collections in real places gives a unique touch to the collections presented, having architecture in the mix gives a special perception of the clothes, they stand out in this amazing houses, with alien lines, unique vision from his creator. 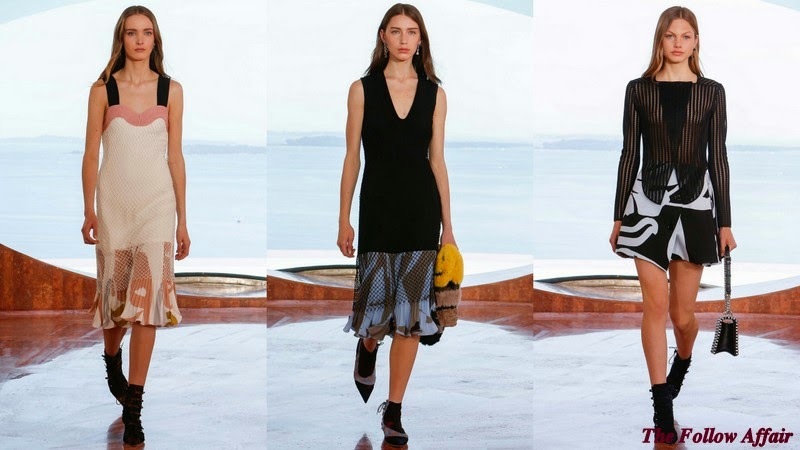 Raf Simons did an amazing work, he gets what women nowadays needs. Inspired by the Christian Dior's fifties full skirt silhouettes, putting together things that would look terrible together but with his ideas they look brilliant, complementing each other. Plaid doesn't scream beach when you look at it but Simons did pretty awesome work turning into Cruise glamour. The fur stole was another accessory he added to the show, an item that you only use in winter gets included in a Cruise collection, super fun! 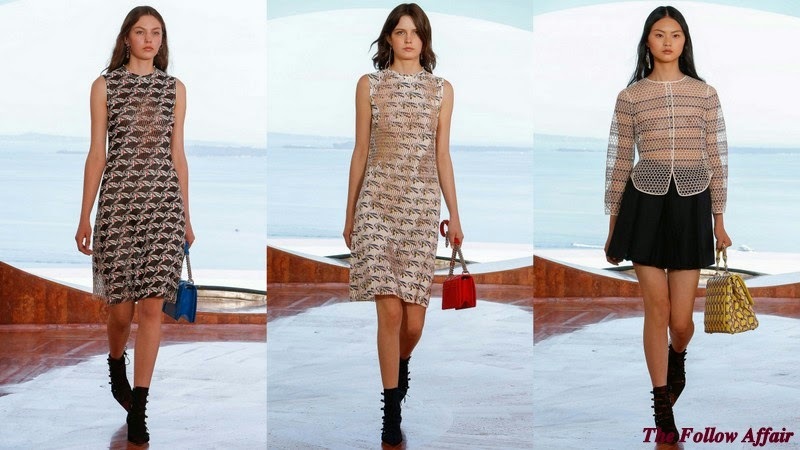 We saw this trend in Louis Vuitton Cruise collection and now we see it in Dior, the chain print is must, appeared adorning the Dior bags. This is going to be a super fashion fun Cruise! 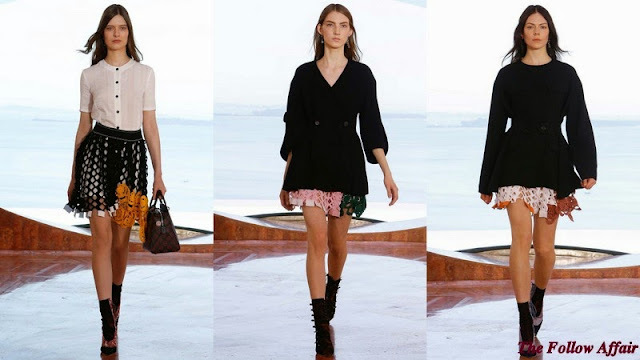 Ballon sleeved checked jackets, minidresses, shorts that look like skirts, lacy shreds in the skirts, laser cut leather dresses. Simons is getting great at mixing different things, sporty, pretty, weird, elaborate things are shown together looking balanced on the model that is walking by in them. The collection was refreshing with a variety of styles and looks, adding the incredible scenery and it was like Heaven on Earth.